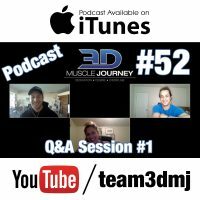 In this week’s episode, Eric, Alberto and Andrea sit down together to answer an array of 3DMJ subscriber asked questions. Do we need to worry about setting a leucine target when dieting? What has made the coaches stay natural, in-light of the high prevalence of drug usage in the sport of bodybuilding? What are the efficacy of re-feeds, in-regards to both psychology and physiology? 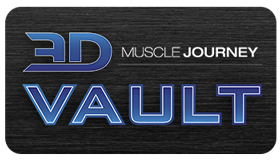 Along with addressing the above questions, the group also touch on: compound vs. isolation exercise selection for accruing volume while also managing fatigue, their preferred method for returning to training after an extended period of deconditioning, pyramid sets vs. reverse pyramid sets, and deload frequency. Join us this week, for a host of topics related to nutrition, training, and personal experience!